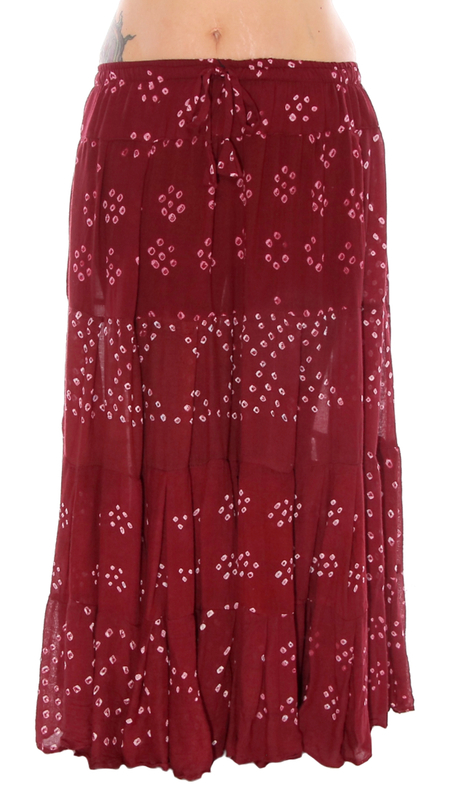 This beautiful tribal skirt is made from vintage Jaipur print material. 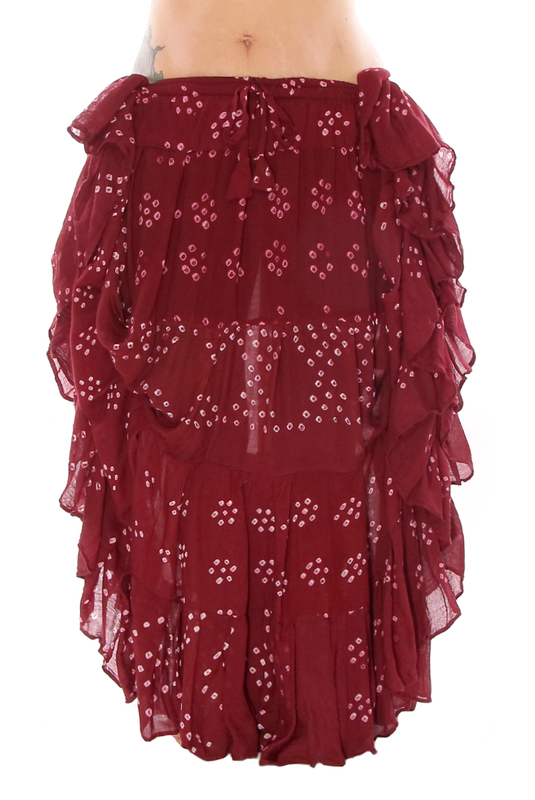 Great for layering or alone, it's a fun addition to any tribal belly dance collection. 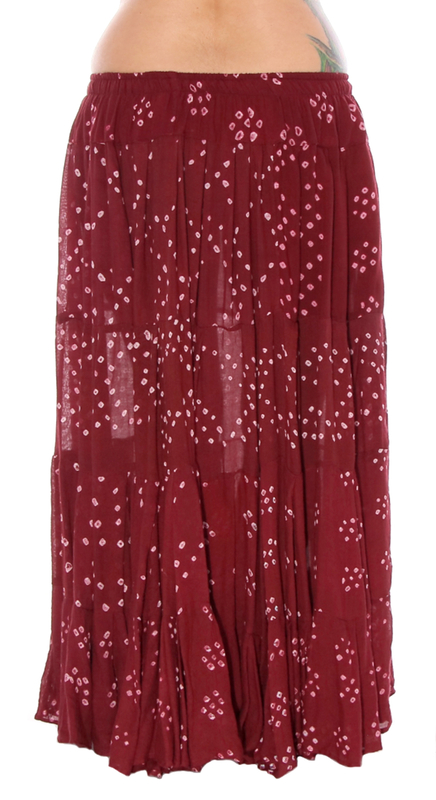 This beautiful burgundy tribal skirt is made from vintage Jaipur print material. 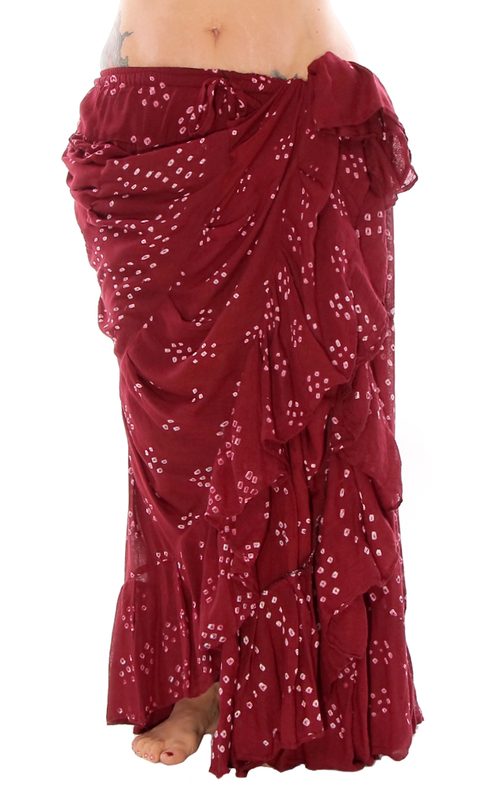 Great for layering or alone, it's a fun addition to any tribal belly dance collection. Elastic and drawstring waistband make a comfortable, adjustable fit. Yardage varies from 14-15 yds. Made in India.